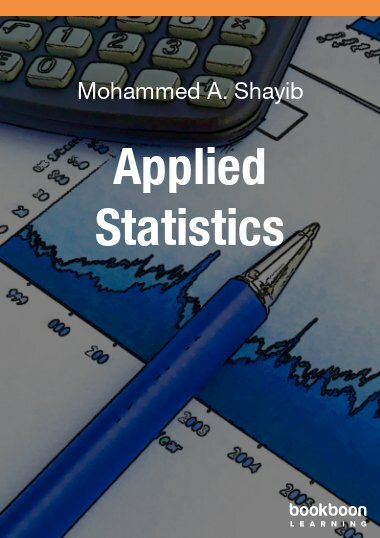 Quantitative Analysis is written by an experienced mathematics teacher, this e-book is presented in tutorial fashion as if a tutor was sitting next to you . . . talking you through the examples. Have you ever thought that you would be able to learn algebra if only you had a tutor on whom you could call whenever you wanted? 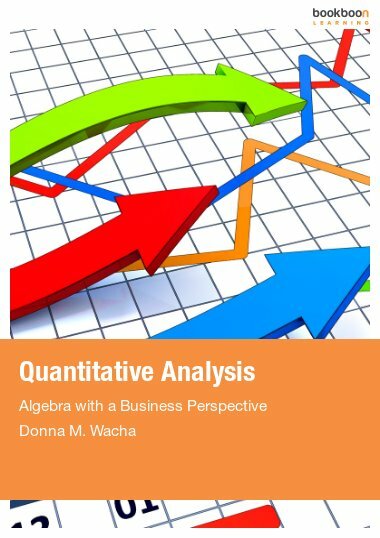 Well, Quantitative Analysis – Algebra with a Business Perspective is the next best thing. 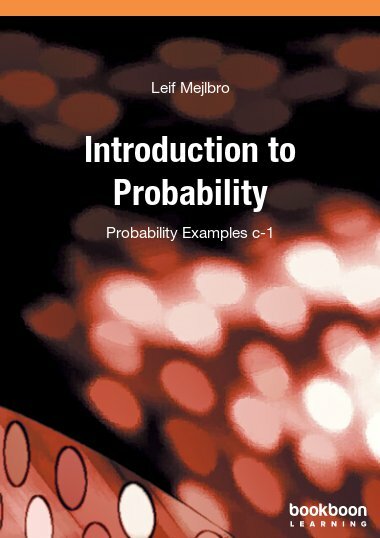 Written by an experienced mathematics teacher, this e-book is presented in tutorial fashion as if a tutor was sitting next to you . . . talking you through the examples. All you need to do is turn to whatever presentation you wish . . . without having to schedule mutual meeting times and without having to pay an hourly rate. 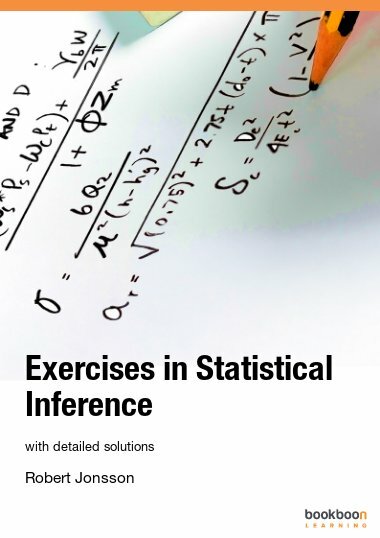 First of all, I would like to thank Lynn Dietrich (director of the Math Learning Center at Monmouth University, West Long Branch, New Jersey, USA) for her help in producing this tutorial text. Without her help, many typographical errors might not have been caught before submitting the final draft. I would also like to extend my thanks to Sophie Tergeist (bookboon.com Ltd. – Davenport House, 16 Pepper Street, London E14 9RP, United Kingdom) for her constant patience in answering my numerous questions during the production of this text. 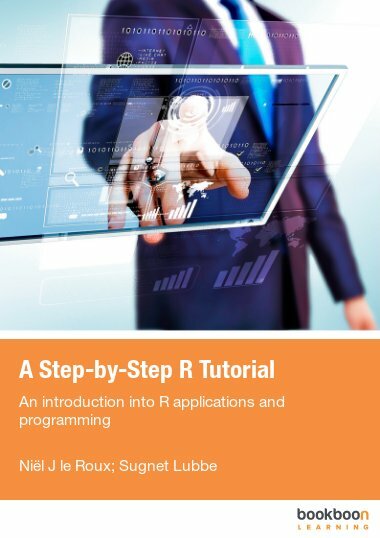 This tutorial textbook has been organized into 4 chapters (units) with several individual tutorial lessons within each chapter. 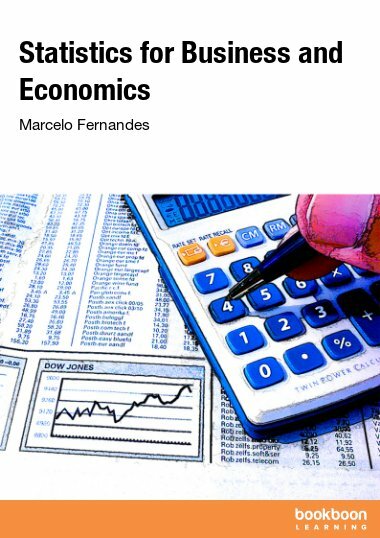 As presented in the table of contents, each of the tutorials has been listed separately with its objective and its starting page. For coding purposes: “Tutorial N.M” means that the tutorial is the Mth lesson in chapter N.
I attempted to present each of the tutorials as if a person (teacher, tutor) was sitting next to the reader talking each of the concepts through. My goal was to make sure that each of the lessons was fully explained but still fully understandable. Hopefully this goal was met. 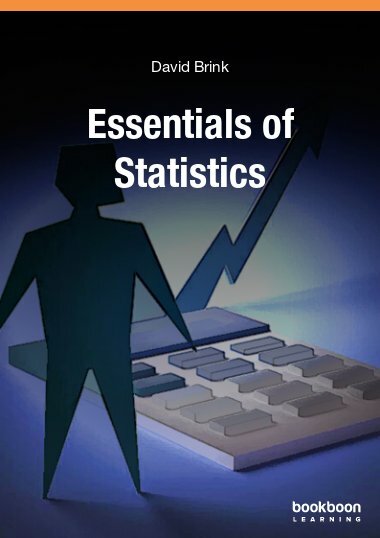 The purpose of this tutorial textbook is to present mathematical skills (algebraic concepts) and their various applications that may be important to students of management (business) science. The applications included should allow readers to view math in a practical setting relevant to their intended careers.